In order to meet international quality and marketing requirements, it is essential that the quality of the hops is independently determined at the Tettnang hop laboratory in accordance with uniform guidelines based on a merit rating system. 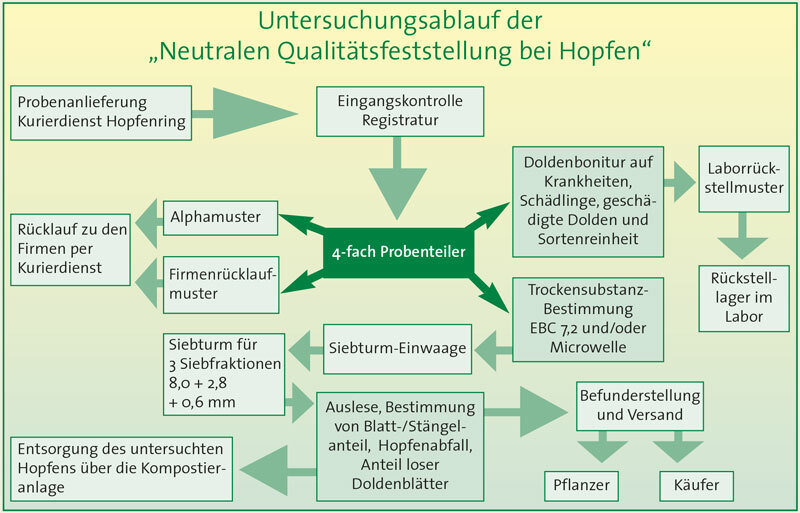 The resulting quality findings give the customer assurance that they are purchasing Tettnang hops of a high and clearly defined quality. Hops require careful picking and storage. 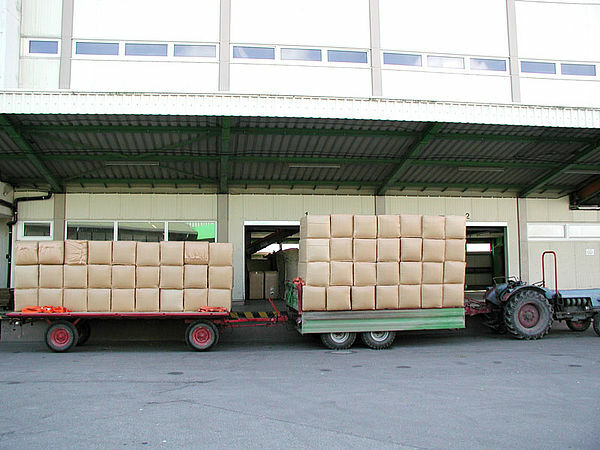 In order to retain the valuable constituents, the drying temperature must not exceed 65 °C. 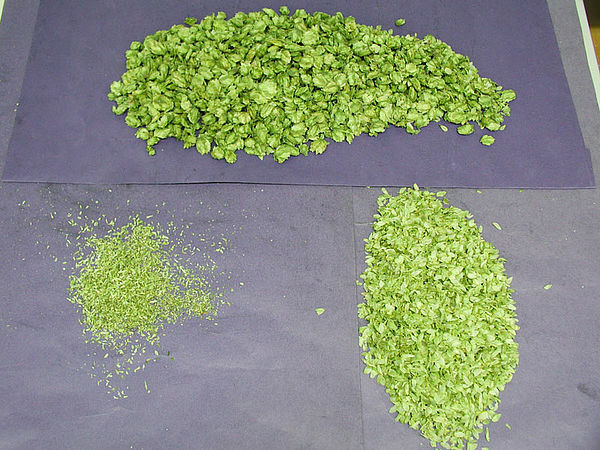 When the hops are weighed – no matter the size of the batch – approximately every fifth ballot is sampled. 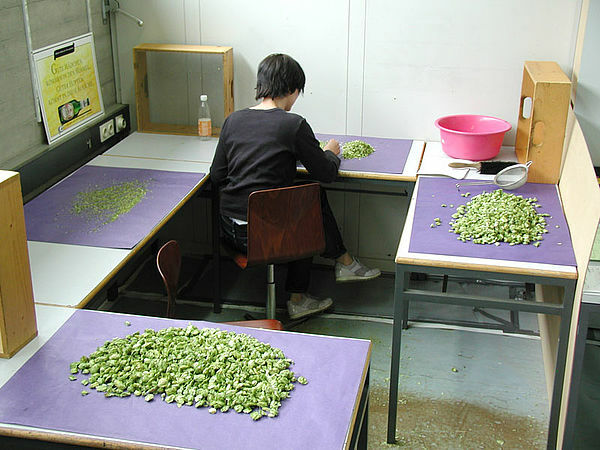 These individual samples are subjected to some sampling at the independent hop laboratory and then inspected according to quality criteria (water content, leaf/stem content, bract content, diseases and pests). The water content of the cones is established using a drying cabinet and an electronic microwave-based measuring instrument. Loose bracts, parts of leaves, stems and other undesirable material are determined by sieving using different mesh sizes (8 mm/2.8 mm/0.6 mm). Tweezers and highly accurate weighing scales are the most useful aids in this painstaking and intricate work. Only a trained eye can establish whether the cones have been affected by pests, diseases or any other kind quality-related damage, which are rated in five categories.